The purpose of this project is to help people become aware of their daily consumption of resources, particularly water, waste and energy. In undertaking this project, Sebastian realized that he was consuming and wasting too many of his daily recourses and therefore decided to take action to help change his unsustainable habits. Sebastian realized from the project’s onset that it would not be an easy task to record and reduce consumption. During the first week, Sebastian and his classmates recorded their water consumption and realized just how much water was wasted. Sebastian noted that long showers encompassed 55% of his personal water use, and some of his classmates had nearly 70% of their consumption allotted to showering! He realized that one of the reasons for this was that the shower takes 90 seconds to heat up, resulting in a nearly 15-gallon water waste each week. Determined to do something about this statistic, Sebastian turned his focus to solid consumption and waste. He realized that most of his waste derived from food waste, so he pledged to improve in this area as well. 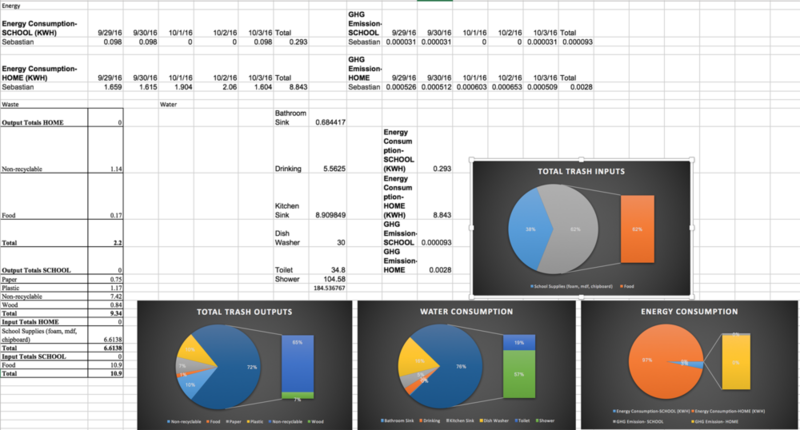 Finally, Sebastian spent a week recording his personal energy consumption. He was shocked by how little energy he actually consumed but felt like he could still do better. After all the data was recorded and analyzed, Sebastian came up with three ideas to many living sustainability easier for himself and his community. His first idea was related to trash waste: he realized that if he cooked lunch, there was less waste every day. In addition, if he made an effort to share food with the people around him, it would decrease the amount of collective food waste. Doing this could generate a 40% reduction in his waste production. However, he realized that once the project was over, he would be likely to revert to his usual habits because it is hard to make lasting change, especially when something has become an engrained habit. Nevertheless, since Sebastian possesses the ability to design something to help people throughout the process, he planned a new design to help reduce energy consumption. He plans to invent a generator that uses the energy created when water flows through the plumbing of a building. 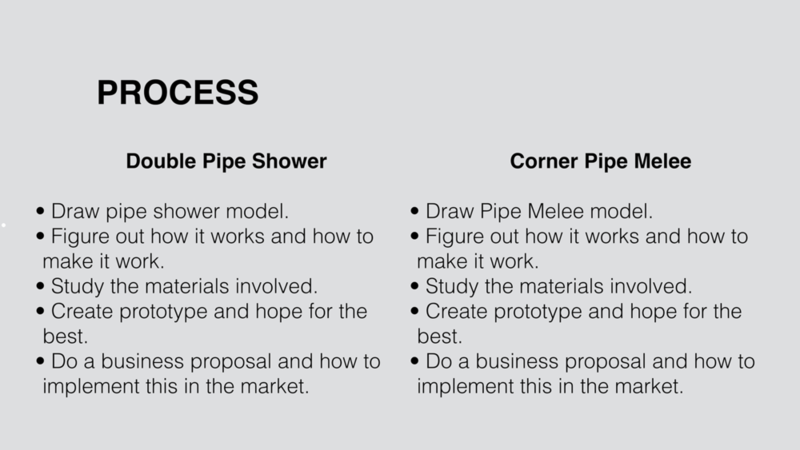 To help reduce water consumption, he will build a double pipe system, in which water will circulate back to the main source until the user decides that the temperature is adequate for a shower, thus cutting down on water waste.